During SEVERE Weather - Check HERE or our FACEBOOK page for Cancellations!! 3 Levels of classes! Level 1 (Beginner) free for Members! Give the gift of dance!! $30 club membership gift certificate = FREE Beginner West Coast Swing Lessons for 1 year! Private Lesson gift certificates also available! Beginner West Coast Swing Lesson before dance - FREE for members!! M ilwaukee Rebels Swing Dance Club was founded for the purpose of promoting West Coast Swing (WCS). WCS is our main emphasis, however we welcome and encourage all styles of dancing. WCS is an exciting dance that really allows the dancer to develop their own style and interpret the music. WCS is primarily danced to rhythm and blues, but many other forms of music including pop, blues, rock and roll, disco, jazz, country and big band are perfect for this type of dance. This musical flexibility allows a dancer to strut their stuff at any nightclub, wedding reception, etc…. The Club is a great place to dance, socialize and listen to a wide variety of music. All kinds of different music. Milwaukee Rebels' members are entitled to discounts at the regular Rebels dances, sister club dances (Madison, Chicago, Twin Cities, and St. Louis), workshops by visiting instructors and other special events. As a Milwaukee Rebels member, beginner West Coast Swing Classes are FREE to you for an entire year!! The yearly membership fee is only $30. No preregistration required, just show up! Entitles the member to FREE beginner West Coast Swing Lessons for a year! Private Lesson Gift Certificates also available! W e will focus on the basics. 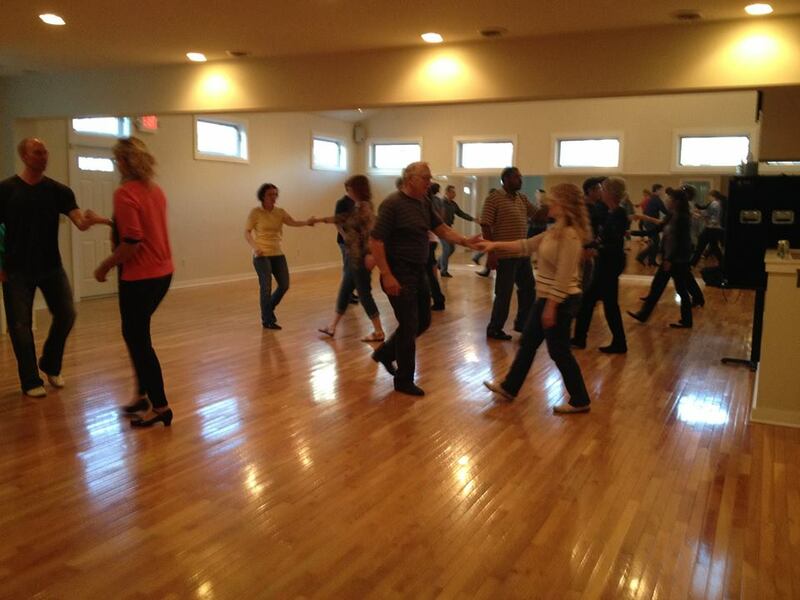 In addition, a few variations of the basics will be taught to get you comfortable on the social dance floor. We emphasize the technical aspects of the dance during our classes while keeping a smile on everyone’s face. The beginner classes provide a foundation which is built upon during intermediate lessons. We recommend that the beginner classes be taken as many times as needed until you feel comfortable with the moves and techniques. As soon as you feel confident, move up into the intermediate classes. The intermediate classes include more advanced moves, concepts, and techniques. No preregistration required, just show up!! Optional Yearly Membership Fee: $30 – NEW MEMBERS ALWAYS WELCOME!! Become a member of the Milwaukee Rebels and beginner West Coast Swing Classes are FREE for a year!! 1Do I need a dance partner to take lessons? Not at all! When the class starts you’ll be asked onto the dance floor. For the first part of the session men and ladies will be separated while we teach you the basic steps. After a short while you’ll be partnered up. Every few minutes we rotate, so not only do you have people to dance with, you get to meet new people who you can dance with later on. Some may be brand new beginners, some may have taken the class several times. 2Do I need a dance partner to go to a dance? Absolutely not. The dances are very social. There are always people to dance with. More than half come to the dances without a partner. Those who do come with a dance partner usually dance with other people as well. Don’t be shy, ask people to dance! The fastest way to make it known that you want to dance is to start asking people. 3If I come with a partner do we have to rotate? You do not have to rotate. However, we encourage people to rotate partners so you have a chance to practice with different partners. Partner dancing is lead and follow. Those who dance with only one partner tend to compensate for each other and don’t truly learn to lead and follow. When a student rotates, they learn something new from each partner, regardless of their dance level. It is also an opportunity to meet all the club members. We recognize that different students have different needs and desires, and so rotating partners is not mandatory. 4How much does it cost? Level 1 (Beginner) Class: FREE/Member, $12/Nonmember **** Level 2, Level 3 Class, or Sunday Practice Party: $7/Member, $12/Nonmember **** Saturday Dance (Includes Beginner Lesson): $10/Member, $12/Nonmember **** Optional Yearly Membership Fee: $30 – NEW MEMBERS ALWAYS WELCOME!! As a member of the Milwaukee Rebels Swing Dance Club you are entitled to discounts at the regular Rebels classes, dances, sister club dances (Madison, Chicago, Twin Cities, and St Louis), workshops by visiting instructors and other special events. No preregistration is required, just show up! 5What is the NEW format for the Beginner Classes? The main focus will be on the basics. In addition, a few variations of the basics will be taught to get you comfortable on the social dance floor. We emphasize the technical aspects of the dance during our classes while keeping a smile on everyone’s face. The beginner classes provide a foundation which is built upon during intermediate lessons. We recommend that the beginner classes be taken as many times as needed until you feel comfortable with the moves and techniques. As soon as you feel confident, move up into the intermediate classes. The intermediate classes include more advanced moves, concepts, and techniques. Most importantly; be sure to shower, wear deodorant, and brush your teeth before dancing…you will be in close contact with others. Attire at the lessons is casual, so jeans and t-shirts are acceptable. Dancers should wear clothing that makes them feel comfortable and is easy to move in. Dances are a chance to dress up a bit if you choose, but you see many folks in jeans as well. When you first come out dancing, there is no need to invest in any kind of special shoes. Simply grab some comfortable shoes out of your closet. Dance shoes are made with suede-bottom soles, but leather-soled dress shoes without treads will also do the trick. Wear shoes that stay on your feet and allow you to pivot, slide and spin without causing strain on your knees. As time goes by, you may want to invest into some dance shoes. 7What is the age range? All ages are welcome! Most of our students tend to be in the 20’s-50’s range. The dances tend to be about the same. 8What type of music will I hear? Everything! You’ll hear quality music representing several genres including blues, rhythm & blues, jazz, soul, disco, and a bit of country. While our main emphasis is on West Coast Swing, our music allows for Hustle, Cha-Cha, Night Club 2 Step, East Coast Swing. Yes. Initial learning through private lessons can be accelerated, making group lessons easier to adjust to. Private lessons are always good to help accelerate your learning and fine-tune your skills. 10What if there’s bad weather? We have yet to cancel a class or a dance, however in the event of severe weather it will be posted on the home page of this website. Select location below for directions and map! Sign up for our monthly newsletter and stay up-to-date on our classes, dances and events!! To ensure receipt of our emails, please add info@milwaukeerebels.com to your Address Book. If you are not receiving club emails, please resubscribe. There are approximately 1-2 emails per month and you can unsubscribe at anytime. The newsletter contains dance information such as; the current Milwaukee Rebels lesson and dance schedule, local information on where many of the Milwaukee Rebels can be found dancing, information on workshops by visiting professionals, dance conventions, competitions and special events offered by other dance clubs. M ike Konkel and Sheli Schroeder are nationally recognized swing dance competitors. West Coast Swing is their passion and specialty. They began their dance partnership in 2003. They are currently competing on the National Swing Dance Circuit in the Classic Swing division. They are most proud of their two US Open wins; US Open Team champions (2007) and US Open Champions in the Sophisticated Swing Division (2017). Mike and Sheli truly love dancing, competing, and teaching together. However, their greatest fulfillment comes from watching the progress of their students. We look forward to seeing and dancing with you at our next event or class!!. Interested in private lessons? Contact us for more information! We look lorward to seeing you on the dance floor!